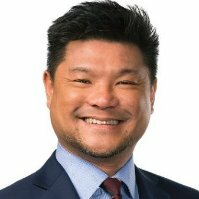 Kevin San of Kevin San and Associates shares how he drives success in his practice, his headline plans for the year, and what his life in bookkeeping looks like every day. Explain your business model and how long you’ve been offering bookkeeping services? We’re essentially a tax agent firm with added bookkeeping, and we’ve been doing it for two years. It was a conscious decision when we began the practice, to offer a full-service accounting to clients; the idea being that we could take ‘everything’ away and they could focus on running their business. The business model is to focus on small clients like cafes, small shops and car workshops, and perform their payroll, bookkeeping and tax for them. The client just has to use Receipt Bank to send us expenses/purchases, and also weekly working hours for the payroll. We do the rest, including things like helping them plan their cash flow, so that their financials are as stress-free as possible. And part of the client stress-reduction is to commit to a fixed-fee relationship. The very first client we ever signed up was a fixed-fee, full-service bookkeeping/payroll/tax client, and that’s been our standard offering ever since. Our business model is to aim for a relatively small number of clients, that pay us a relatively high fee for a wide scope of services. That cuts down on the admin and overheads, and the software/tech-stack that we use is a vital part of making it all viable. We use Practice Ignition for onboarding and invoicing, Receipt Bank for bookkeeping, KeyPay for payroll, Xero for ledger and Slack for team communication. My staff perform the bookkeeping and payroll, and they also are the main regular point of contact with the clients (for most clients there’s a weekly touchpoint about bookkeeping or payroll). Everyone works remotely, so all day I will be in fairly constant contact via Slack, which is like Facebook Messenger; but it has a search function and you can have separate channels for each client or topic. It’s much more practical for a business application, and much faster than trying to converse via email to get things done. My staff are stay-at-home mums, so the Slack conversations tend to go from morning until night, depending on when they are working. My job is to review the tax compliance, and manage the client relationships. Every week really is quite different, but this week there were five client visits, and one day was spent at Xero Roadshow with Practice Ignition and Receipt Bank on their discussion panel. My preference is to visit clients at their locations, and since many small business owners are too busy during the day, sometimes I’ll visit them at home after hours or on the weekend. I feel that the flipside of not having an office is that you have to go to visit the client instead, but they all seem to really like that. The topics of conversation will range from housekeeping issues for the bookkeeping, to discussing the business performance and advice matters. And for new clients, I perform the onboarding, which means plenty of visits to the clients to train them on how to use Receipt Bank, transition their payroll, set up invoice templates, etc. We’ve learned that onboarding is critical to a smooth client experience, so it’s perhaps 25 per cent of what I spend my time on. For some reason, our clients mostly revolve around my own hobbies, so I don’t need much encouragement to visit a car workshop or bicycle shop… and if you’re a coffee addict, then having café clients isn’t much of a hardship. When I’m not on the road, I’m preparing tax returns or advice work, reviewing the monthly financial reporting packages we send to clients, and of course there are the inevitable phone calls with the ATO tax agent line. My staff work at odd hours (more of which below) and some clients prefer an after-hours visit, so I tend to save a portion of my own work for the late evening, and I’ll try to squeeze in some exercise or time with the kids during the day. I don’t spend much time on admin; Practice Ignition automates engagement letters and billing, invoices are automatically sent out on the first of every month and clients are direct-debited for the fee. If you could change anything about how you’ve approached your business, what would it be? The two most important things to my practice are: process and relationships. It’s far too easy to get bogged down in the accounting minutiae, but I have to keep reminding myself that the most important things from the clients’ point of view; are smoothness of operation and a good stream of communication. Clients view bookkeeping as a non-value adding admin function, so it’s important that we have a process for each client that works well and takes up a minimum of bandwidth on both sides (and Receipt Bank is an important part of this). And I’ve also learned that if you want to charge a client a relatively high fee, then in return the client needs to feel like they have your attention, hence the client visits are an important part of our offering. Some clients love to delve into the P&L, some are more focused on cash flow, or lifestyle spending. Different clients want different things, and you have to deliver what they want. Today, we give maximum focus on these things, but it wasn’t always that way and we’ve learned through our mistakes. What is your bugbear about the bookkeeping profession? The Australian accounting industry is quite different to other countries, in that bookkeeping and tax agents have evolved into quite separate, specialised professions with very little crossover between them. But bookies have been very quick to embrace the new cloud tools and they’re generally a lot more embedded into the client’s business. So to me, there is a great opportunity for the bookie profession to play a bigger role in owning the client relationship and being the trusted adviser. We have a great relationship with bookies who go beyond bookkeeping, to offer advisory and virtual CFO services to their clients, and we’re more than happy with work alongside them and do the tax agent part. I’d like to see more bookkeeping firms fill the void that exists between bookies and accounting firms. They’re ready to. Do you think the business of bookkeeping lends itself to work/life balance? Definitely so, everyone here came from fairly demanding senior roles in corporate. So when I set up the practice, achieving a better work/life balance was a key part of it. From the start, cloud accounting tools were always part of the picture, so that we could all work remotely and not have to commute to an office. We would receive expenses from clients via Receipt Bank, send them payruns via email, returns would go out for electronic signature via Xero Tax, and we could all talk to each other via Slack. There would be no reason to have to be in a central office to function: that was the plan from the start, and we’re still doing it that way. My staff are stay at home mums, and they work part-time. They have a certain window between the school drop off and pickup, and sometimes a little more after the kids are in bed. This means that I have to respect the times when they aren’t available, and also to be available to support them during the hours that they choose to work. But my 2IC is in charge of all the bookkeeping and payroll, and she is considerably less stressed than when she was in a corporate role. Over Christmas, all of the staff (including myself) were overseas in different countries for almost a month; but as far as the clients were concerned, everything happened as normal. The beauty of using Xero, Receipt Bank, KeyPay and Slack is that everything is paperless and everything can be done as long as you have internet. Making sure that we hit non-negotiable deadlines like payruns took some planning, but it was all doable. Our bookkeeping process is that we try to keep everyone’s books up-to-date on a weekly basis, and that means that we can spread out our work and we usually don’t have a significantly higher workload before BAS or tax return deadlines, so the process plays a big part. I think when you do traditional tax agent work, you’re beholden to the client’s availability to provide you with data, but when you are performing the bookkeeping, you have far greater control of your workload. Ironically, performing the bookkeeping means that we have far more control over the timing of when we do the BASs and tax returns. The nature of the work we do allows us all to have a lot of flexibility, especially when it comes to spreading out the tasks and accommodating holidays. What are your headline plans for your business in the next 12 months? Growth. I think we now have the recipe and we’re efficient, it’s time to take on more clients. This January we picked up three new full-service clients, which certainly isn’t typical for us but it is the sort of growth we’re aspiring to, and we’ll be adding more staff at some point. At the moment our remote-working model is comfortable for the number of clients we have, but I’m well aware that as we grow, we may encounter some barriers that will make it less practical. It’ll definitely be a challenge to maintain our work/life balance and client service standards as we become bigger, but I feel that there are still untapped opportunities with the cloud tools, so that is definitely something I will keep an eye on. Especially in the area of workflow, I can see that at some point I’ll be focusing on automation to save time. For example, when a new client signs up in Practice Ignition, you can set it up to automatically create the folder structure for client documents, and to send out a Slack message to the team. Imagine the time saved if you could do things like have a set of standard questionnaires, payroll templates and checklists automatically sent to new clients when they sign up; and if a Slack message could automatically go out to the team when they returned them. Consistency of process is easy to manage when you have a small team, but it becomes harder the bigger you grow, so these tools will be critical for us in 2018. We’re really just scratching the surface of what’s available at the moment, and I’ll definitely be spending some time on exploring these opportunities in the next year.